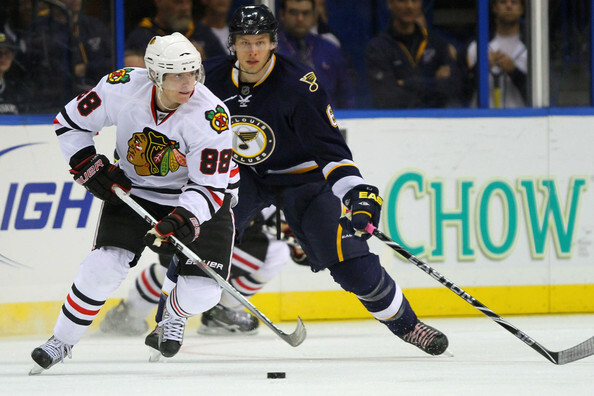 Is Patrick Kane in the Doghouse? On Tuesday morning the Blackhawks took the ice for the first time since losing on Saturday night, and coach Joel Quenneville has apparently started playing line roulette again. Most of the time, Quenneville mixes his lines looking for a spark, but this time he might be making a number of statements. It looks like coach Joel Quenneville is trying to spread out the scoring more with these lines, and the speed on the top and third lines is almost unparalleled in the NHL. The physical play from a Hossa-Kopecky-Brouwer line could be imposing as well. And the new look fourth line is closer to what you would expect to see from a fourth line and, frankly, where we expected Pisani to be from the get-go. But there are two specific points that appear to be clear coming from behind the bench. First, as we wrote about this morning, Quenneville is seeing and appreciating the quality play he’s been receiving from Stalberg and Skille, and rewarding them with a chance to play with top-line players. This could lead to dramatic increases in both ice time and production for both, assuming Quenneville doesn’t lose them on the bench in the third period (again). However, the second point may be more dramatic. Moving Kane to the third line with Bolland, the “checking line” center, looks like a challenge to the young superstar to pick up his game. The guys that have been skating with Bolland so far this year have been getting 11-14 minutes most nights, which is obviously lower than Kane’s expected workload. But this has little to do with ice time. It has to do with production. In ten games, Kane has two goals and is near the bottom of the entire NHL in plus-minus at minus-seven; only seven players are worse than Kane so far (San Jose’s new captain Joe Thornton is an NHL-worst minus-nine). Not only is his plus-minus an indicator of ineffective play, but Kane has looked as lost at times as he has been confident on other occasions. Moving Kane to the third line with Stalberg and Bolland makes one of the faster lines in the league, and could spark the play of Kane as well as increasing the production of the surprisingly effective Stalberg and shockingly ineffective Bolland. The LA Kings play at the United Center on Wednesday night without their best player, defenseman Drew Doughty. If Quenneville skates the lines he presented in practice on Wednesday, he will dictate the match-ups all night on Wednesday. Whether or not the players take advantage of a strong situation will be seen on the ice. 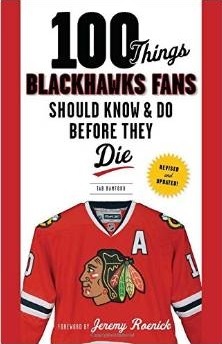 Or it may be to roust Bolland from whatever zombie slumber he is in right now.